Parking lamps are covered by ECE Regulation 77. This applies whether an individual lamp, part of a headlamp or multi-functional lamp (such as rear cluster light). Where a pair of parking lamps are fitted, should one fail the other must be able to maintain the minimum light intensity as required. This regulation applies to side marker lights for motor vehicles (excluding motorcycles) and their trailers, whether it is for a stand-alone lamp, or as part of a multi-function light. Their primary function is to be used to indicate the presence of the vehicle when view from its side. For front and rear marker lights, see ECE Regulation 7. While this regulation applies to the technical requirements of vehicle conspicuity tapes, also known as contour tapes, and their performance – it does not mandate their use, and how to use them. 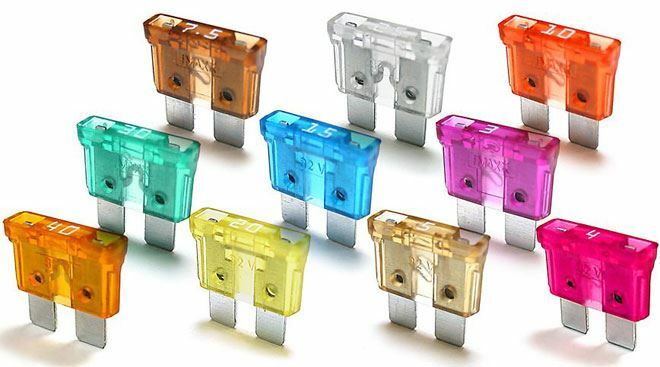 Fuses and circuit breakers are designed to interrupt the power to a circuit when the current flow exceeds safe levels. For example, if your toaster shorts out, a fuse or breaker should “trip”, protecting the wiring in the walls from melting. As such, fuses and breakers are primarily intended to protect the wiring — UL or CSA approval supposedly indicates that the equipment itself won’t cause a fire. To make full use of the online shopping and features on our websites, your computer, tablet or mobile phone will need to accept cookies, as we can only provide you with certain personalised features of this website by using them.